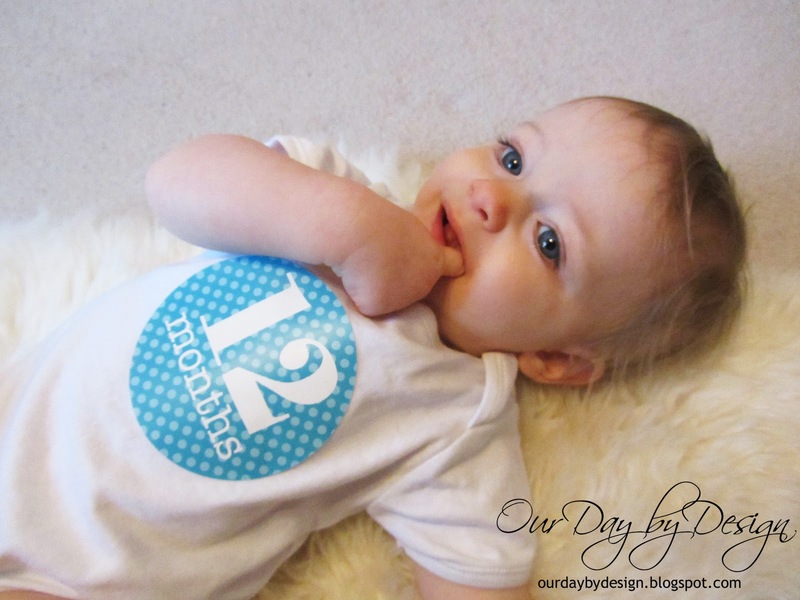 Holden's twelfth monthly photo, taken on the 1st of every month. 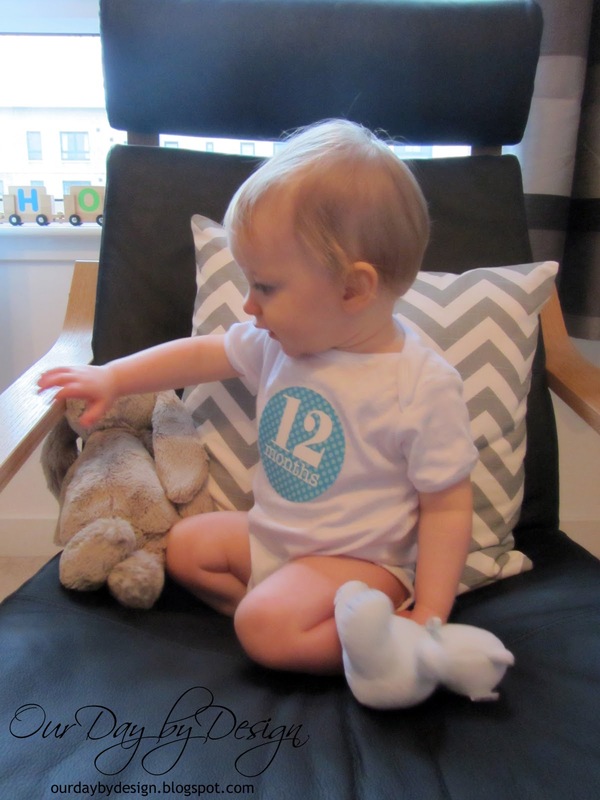 Holden turned twelve months old on the 1st of February. 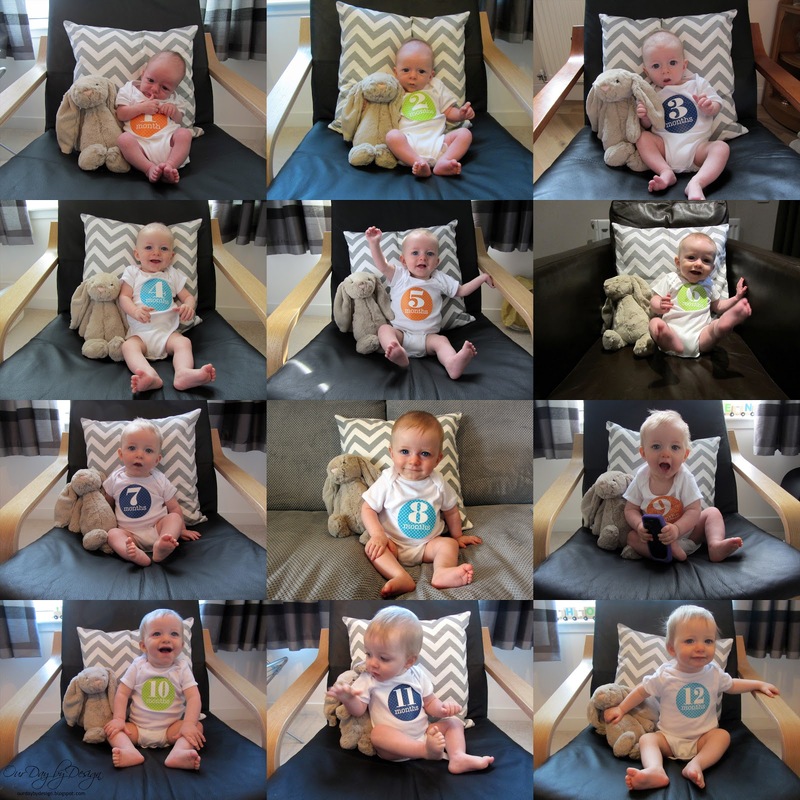 It's hard to believe my little boy is 1 already, its been such a fast year with so much happening, but we made it! January was fairly quiet and Graham spent the first week in Denmark with his work. Our flat was put up for sale on the 9th and sold within 3 weeks which meant we only had to do 3 open viewings but it was definitely a lot quicker than we expected. We need to move out by the 8th of March so as our new house wont be ready until July, we are moving in with my parents for a few months. Holden loves his grandad so I think he will love it and it will also be a lot easier when my dad is looking after him one day a week. Otherwise we went to a 1st birthday party, had a couple of trips to the soft play centre, some lunches with friends and lots of planning for Holden's birthday party. Then we got to celebrate Holden's 1st Birthday. He wasn't feeling too well on his actual birthday but we had a nice morning opening his presents, he loved his cozy truck, then we went to the zoo before meeting all of his grandparents for dinner. The next day we had his party at my parents house with all of his friends which was a success, all of the kids liked the food, pass the parcel, party bags and Holden's rainbow birthday cake. Holden's eating is still going well and although he eats finger foods no problem, he shows absolutely no interest in feeding himself with a spoon. He still likes chicken dippers or fish fingers as well as his old favourites porridge, fruit and yoghurts. Holden still doesn't have any teeth and I'm still feeding him morning and evening as he wont take any other milk. 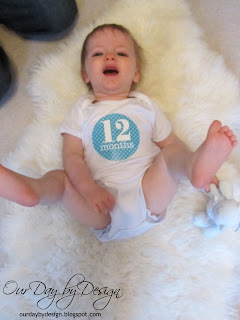 He's not been weighed for a while but he will be at his 1 year check-up, then he will have his next set of injections. Holden is still in to everything, crawling super fast, walking around the furniture, with our hands and with his walker. 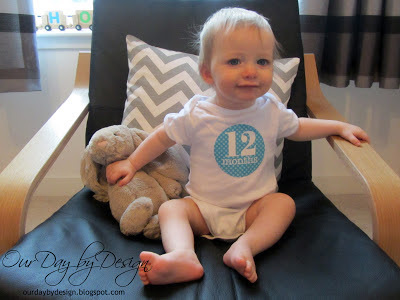 He can also stand on his own for quite a while and has learnt to stand up himself from the floor without any help. He has also learnt how to get down from the sofa backwards, which he just did one day by himself. February will bring lots of other birthday parties for Holden's NCT friends and a trip to Bath with my parents as well as attempting to pack up our flat. I return to work on the 25th February so before that Holden will have his nursery settling in sessions before he starts on the 26th. I've managed to take the same photos every month, on the chair in his nursery beside his bunny and on his lambskin rug. Next year we are going to take different photos, maybe with Holden standing beside his penguin, since he won't sit still anymore.